Military studies tend to neglect Civil War sites and events along that half of Marye’s Heights situated north of the Orange Plank Road (modern William St. or Rt. 3). During the first battle of Fredericksburg, in December 1862, some Confederate artillerists there directed oblique and enfilade fire against Federals operating south of the Plank Road. During the second battle, in May 1863, Confederate infantry and artillery along the same segment of Marye’s Heights blocked the northern flanking prong–Gibbon’s division–of an early morning advance ordered by Union General John Sedgwick. For the main ridgeline hosting these and other events north of the plank road, “Marye’s Heights” is a common military designation. 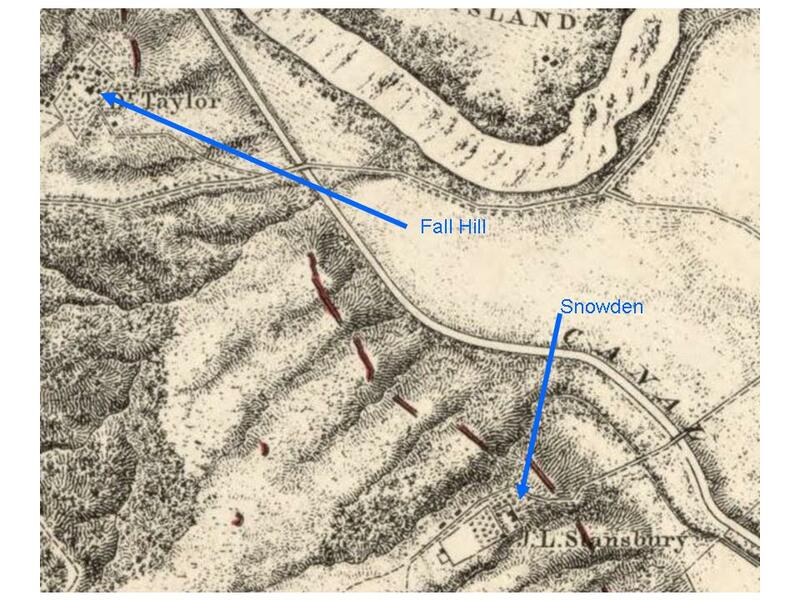 The most accurate civilian description, however, divides the Civil War-era ridge into three principal segments, beginning on the plank road and extending to the north: “Byram Hills,” the Smith estate; then “Snowden,” the Stansbury estate; and then “Fall Hill,” the Taylor estate, bounded on the east and north by the Rappahannock River. The first part of this discussion can be found here. Following his accidental wounding on the night of May 2, Jackson was transported to the Second Corps hospital at Wilderness Tavern. Dr. Hunter H. McGuire, the Medical Director for the Second Corps, oversaw Jackson’s treatment. 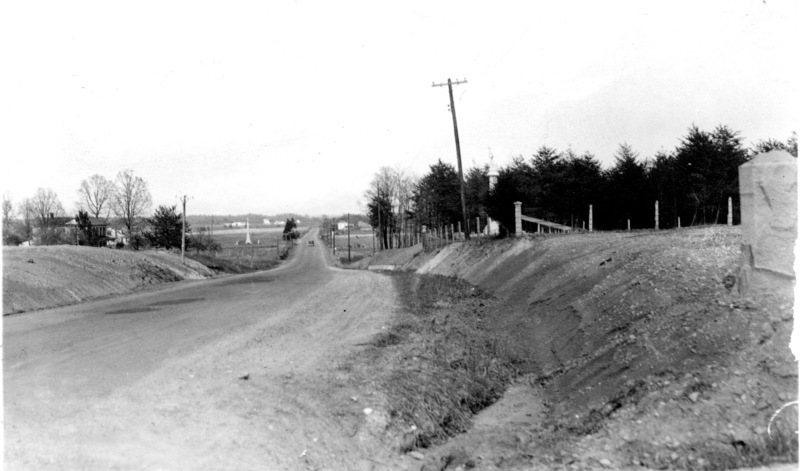 McGuire first reached the general on the Orange Turnpike just inside the Confederate lines. He sent a courier to Dr. Black at Wilderness Tavern, informing him that Jackson would soon be arriving. 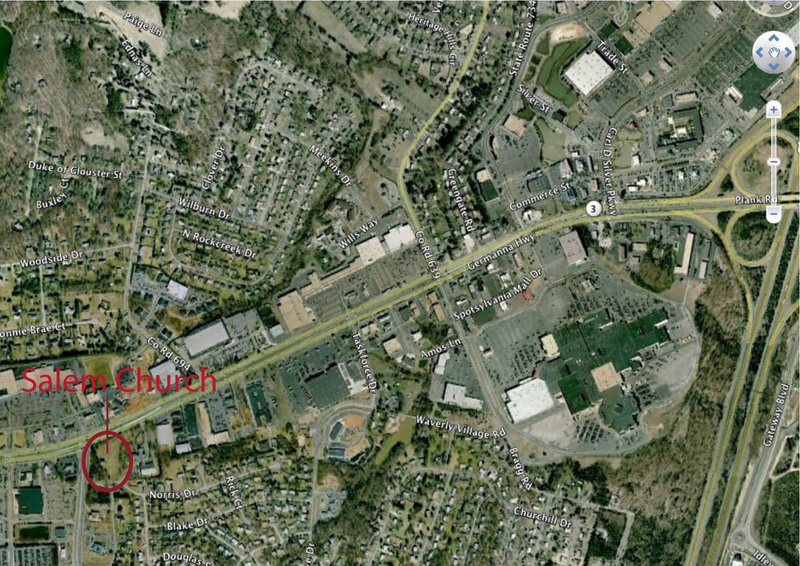 According to McGuire, Black “had a large tent prepared with a bed in it (blankets over the bed) and a stove with fire.” Amidst the sprawling hospital complex, the exact site of this tent cannot be pinpointed, but its general location can be determined. 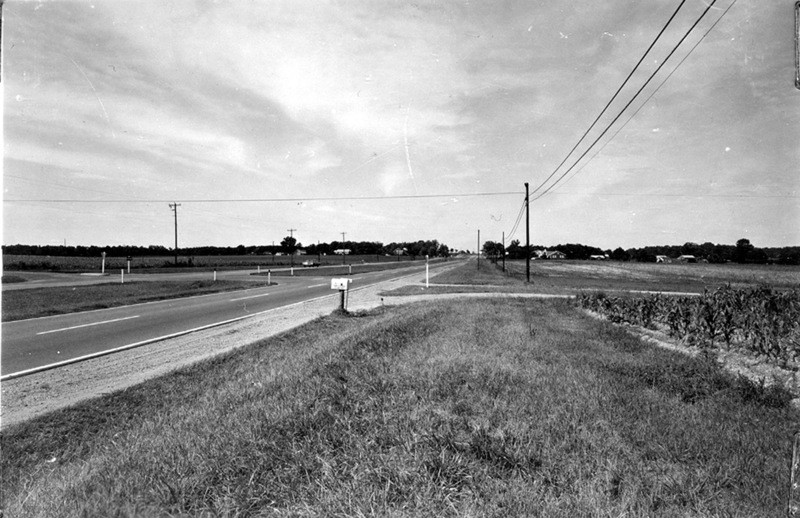 From these two accounts, it’s safe to say that Jackson’s tent, and the site of the amputation of his arm, was on the north side of the Orange Turnpike. Can the location be narrowed down anymore? “Jackson’s arm was amputated in the Second Corps field hospital, north of the road and some 175 yards east of the tavern site…This fact I got from Mr. James Power Smith, who often talked of the field location in my presence.” – Ralph Happel, “Report on the Locations of the Old Wilderness Tavern and the Spot Where Jackson’s Arm was Amputated During the Chancellorsville Campaign” (1935, revised 1936). Copy in the CRM Office, FRSP. 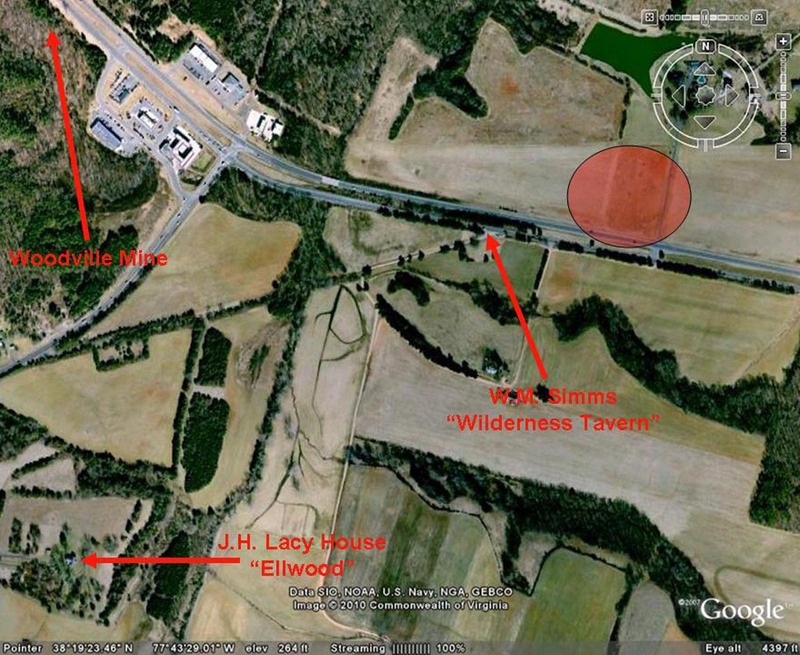 According to Miss Dempsey’s information, it would appear that Jackson’s tent was located in the fields north and a couple hundred yards east of Wilderness Tavern. The red shaded area is the general area where Jackson’s tent was located. Wilderness Tavern as depicted in an 1864 sketch by Edwin Forbes. A series of posts last month looked at the burial and possible re-burial of Confederate General “Stonewall” Jackson’s arm (found here, here and here). 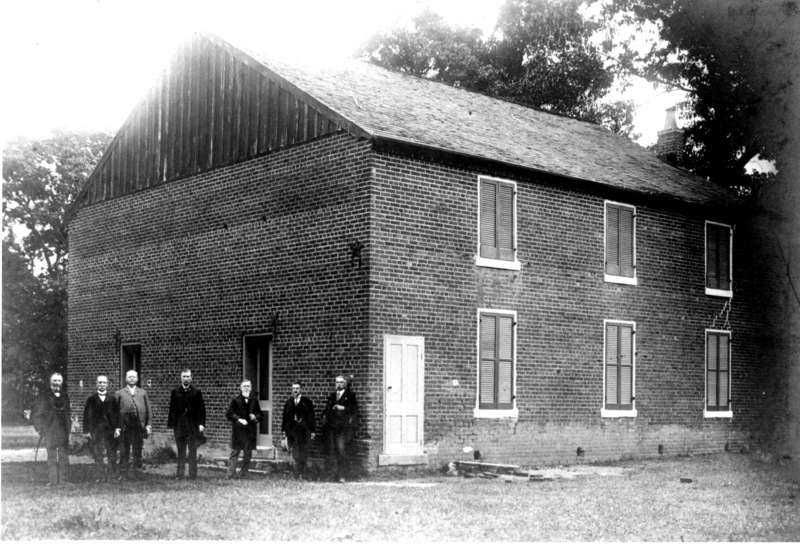 This post is intended to discuss available information about the Confederate Second Corps hospital established at Wilderness Tavern during the Battle of Chancellorsville, including the location where Jackson’s arm was amputated. The tavern was a property owned in 1863 by William M. Simms. It consisted of a collection of structures, including a store, house, tavern and several outbuildings. 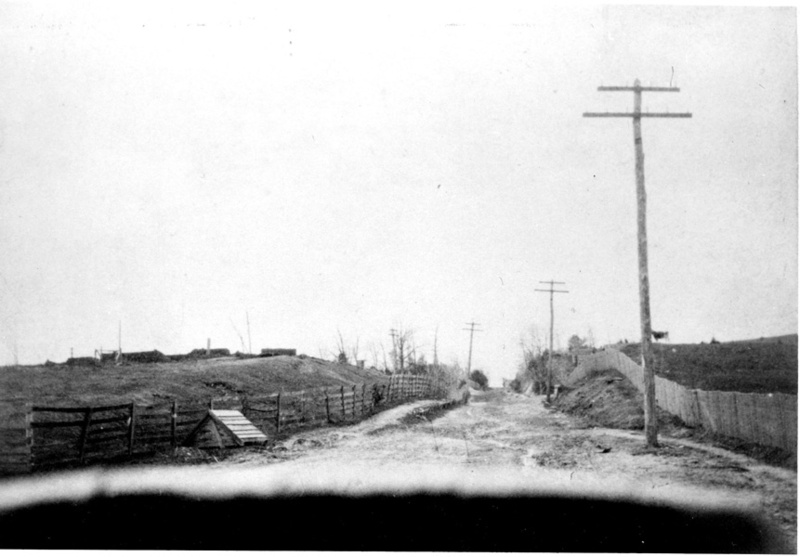 (Left) Wilderness Tavern in 1866, looking southwest along Orange Turnpike. 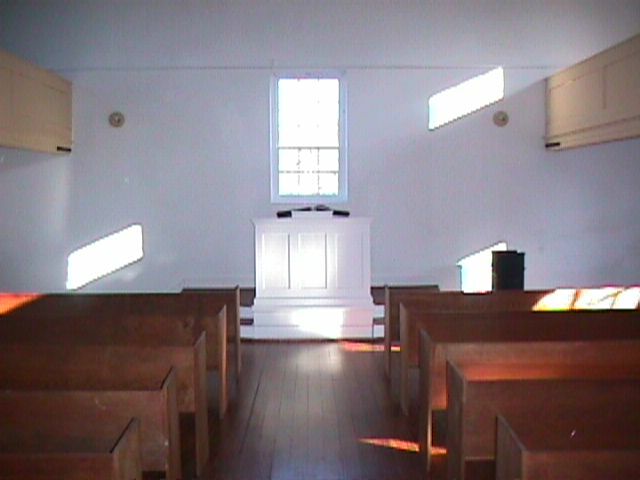 (Right) Similar view today. As mentioned in previous posts, FRSP benefited greatly from the help provided by the Civilian Conservation Corps (CCC). Four individual CCC camps operated in the Fredericksburg area between 1933 and 1942. Three of these were located on FRSP lands – one each on the battlefields of Chancellorsville, Wilderness, and Spotsylvania Court House. 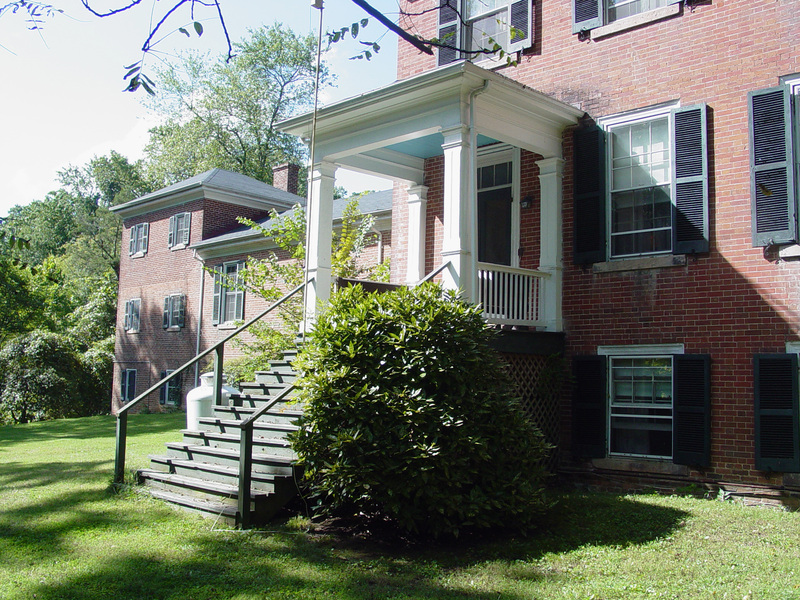 Camp MP-4 was built in Saunders Field, on the north side of State Route 20, of the Wilderness Battlefield. The initials “MP” stood for Military Park. Later the designation and number was changed to NP-24, denoting that the camp served a national park. Camp MP-4 was established October 14, 1933 and until its closing in 1941 five CCC companies rotated through the camp. The camp’s layout covered nearly all of the northern half of Saunders Field, where on May 5, 1864 the Battle of the Wilderness began. ca. 1938 aerial photo of CCC Camp MP-4 on Wilderness Battlefield. The aerial photo shows the camp around 1938, when it was occupied by Company 2329. The red square to the lower left in the photo indicates the current location of the Wilderness Exhibit Shelter. 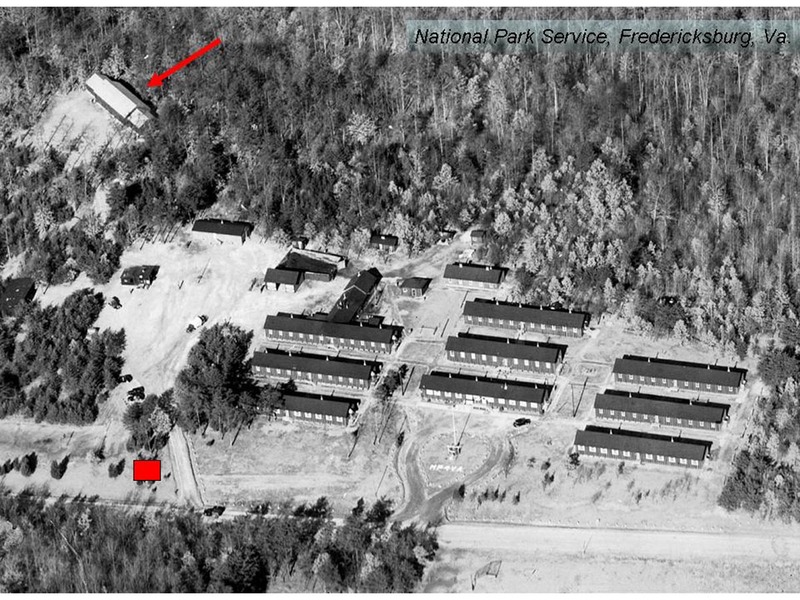 The building in the upper left corner of the photo (marked by the red arrow) is the Camp MP-4 Utility Building, constructed in 1937. It still stands in the woods north of Saunders Field and serves the NPS as a storage building for maintenance equipment. Built in 1937, the Camp MP-4 Utility Building still stands on the northern edge of Saunders Field. The original cautionary sign about open flames still hangs on the Utility Building. 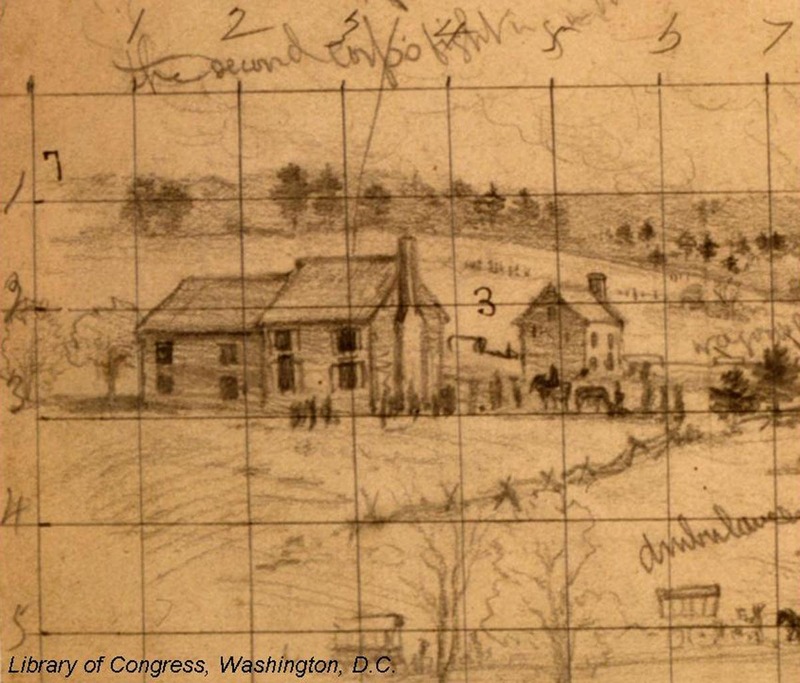 Made famous by Lincoln’s decision to cross it on foot during his May 23, 1862, visit to Fredericksburg (click here for a post on that), the Richmond, Fredericksburg, and Potomac RR bridge over Potomac Creek was oft-sketched, photographed, and written about. 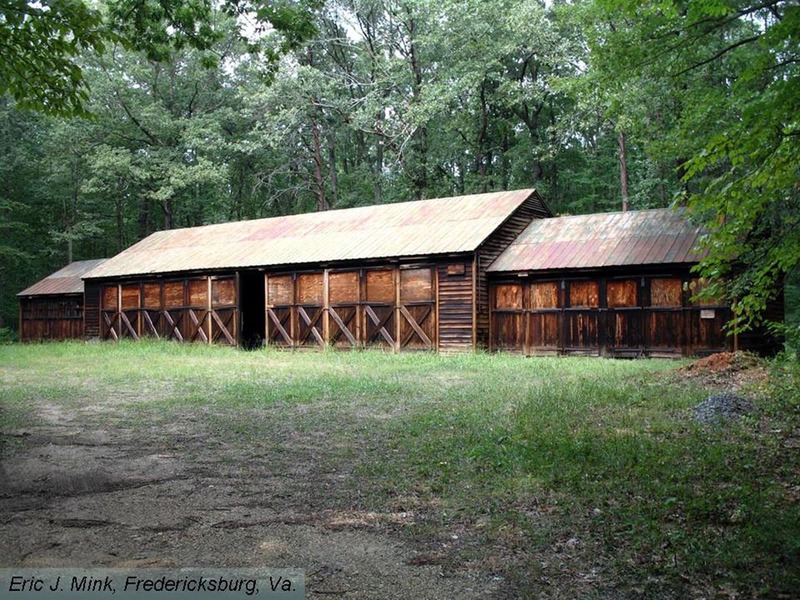 Without question it was one of the more remarkable building achievements in the Fredericksburg region–many times over. 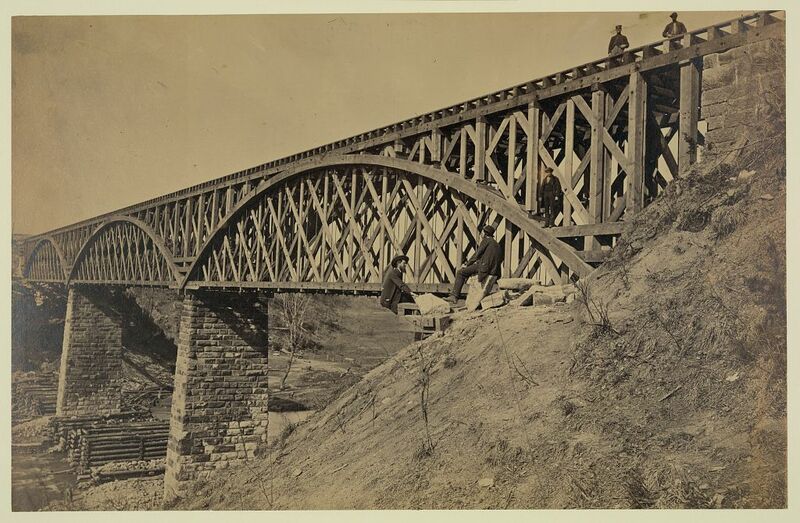 At least three iterations of the bridge were built by Union engineers during the various Union occupations–once in May 1862, in November 1862, and in May 1864. Images of at least three of them survive. 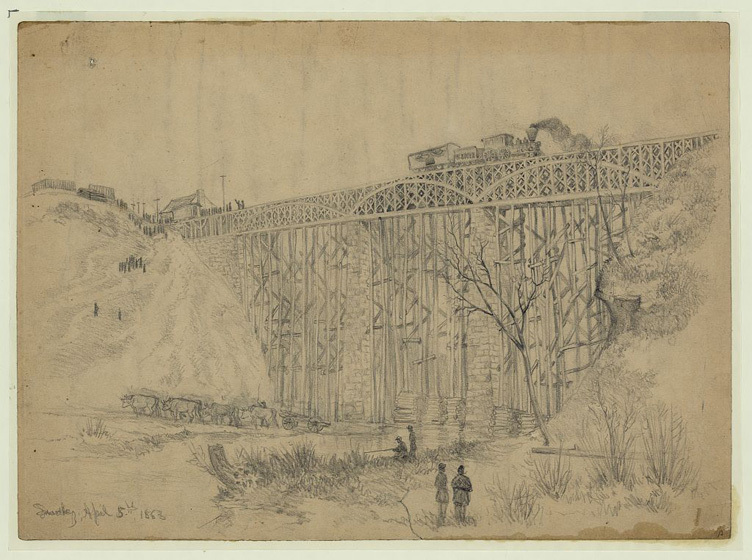 This image shows the bridge as it appeared in the spring of 1863. Lincoln's train crosses the bridge, April 5, 1863. Just a couple weeks later, a photographer took this shot. Note that the long supports under the trusses have been removed. 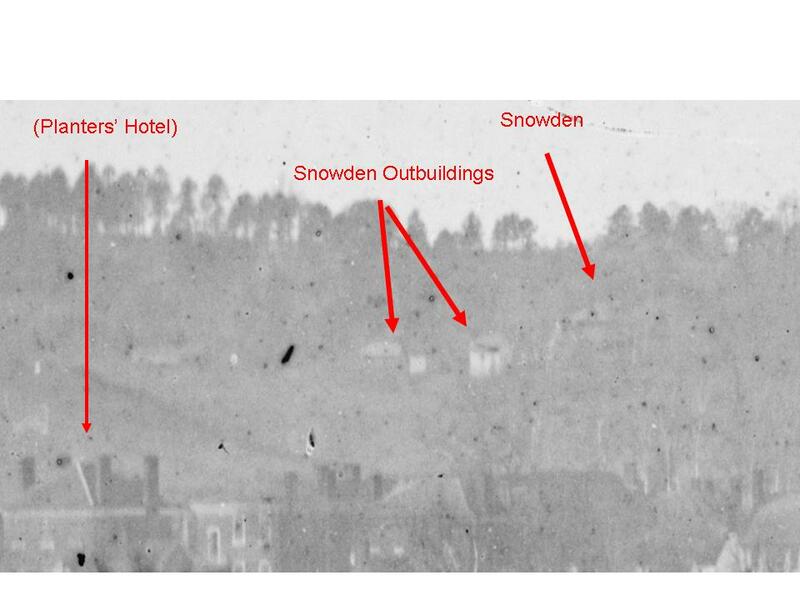 Taken in mid-April 1863, after Lincoln's visit. 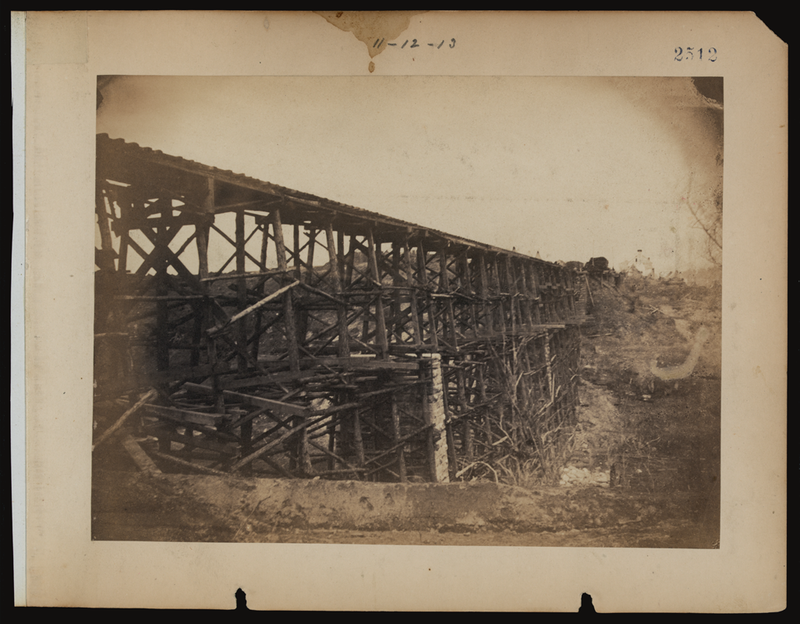 Here is a view of the bridge in May 1864–after it had been reconstructed in just 40 hours. More than 6,000 Union wounded from Wilderness and Spotsylvania travelled over this bridge between May 22 and May 26, 1864. The May 1864 iteration of the bridge. It carried wounded to Aquia Landing. And then there is this view. It’s credited to A.J. Russell, either 1862 or 1863–though we know that Russell didn’t begin taking photographs until the spring of 1863. While it bears resemblance to the 1864 bridge, above, close inspection reveals that it is not the same bridge. Is it the 1862 bridge that Lincoln crossed? Or perhaps someone out there who knows more about Civil War photography than I do can clue us in. This image is credited to A.J. Russell, "1862 or 1863." 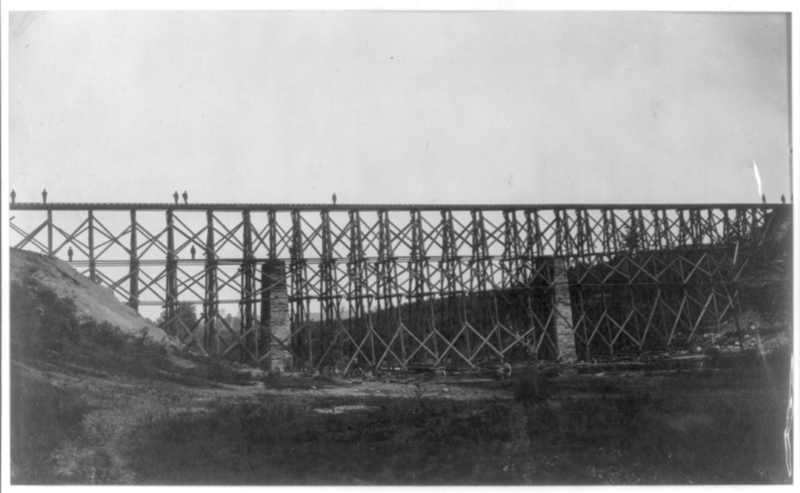 While I know of no image that is definitively of the “beanpole and cornstalks” bridge described by Lincoln, this image certainly captures the essence (if not the fabric) of what Lincoln likely saw in May 1862–a rather haphazardly built structure, constructed not by engineers but by gangs of detached soldiers. Its designer, Herman Haupt, complained that he could not convince men to go out onto the bridge to complete the bracing. No wonder…. When I sat down to write this, I’d intended to do a full-blown piece in our traditional style. But there’s little need to do that. 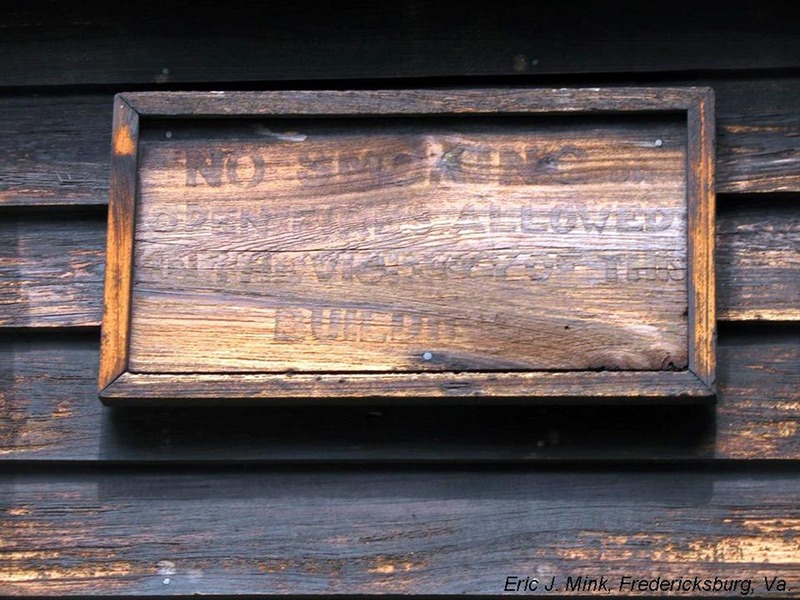 The folks over at the Historical Marker Database have already put together a very nice post on this site, including modern images, and I urge you to take a look at it here. In the meantime, any of you who can offer some illumination on this, we’d be grateful.